Pierre Lemonnier was a French astronomer and physicist at the Collège de France who studied the Moon and the influence of Saturn on the motion of Jupiter, determined the positions of many stars, and conducted extensive research in terrestrial magnetism and atmospheric electricity. His greatest claim to fame, however, is holding the record for the greatest number of sightings of Uranus – at least 10 between 1764 and 1771, including six in January 1769 alone – before the planet was officially discovered by William Herschel. 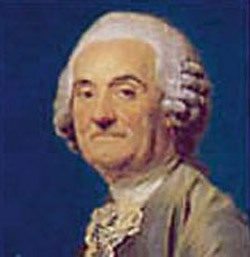 Lemonnier's failure to recognize its true nature is explained by the fact that, at the beginning of 1769, Uranus was near its stationary point, so that its movement among the stars would not have been obvious.